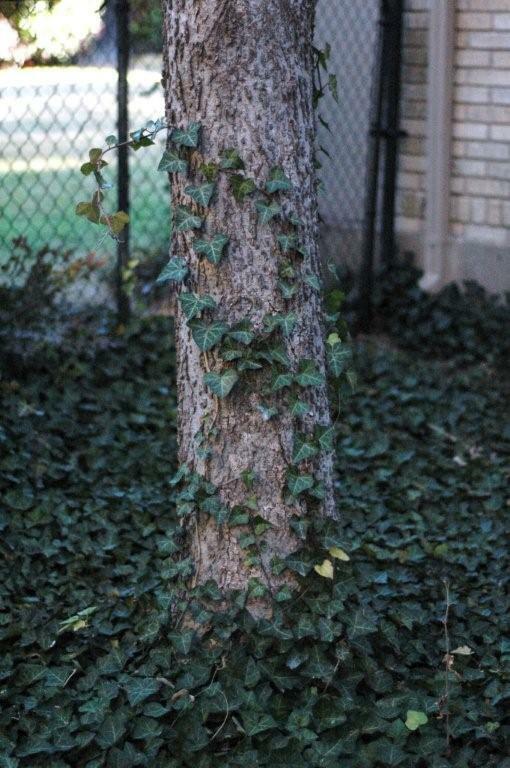 Unless you have already done it, let’s all get the ivy and other vines out of the trees. A very important fall/winter maintenance procedure I write into specs now is this: Remove all vines and ground covers from trees completely. Also remove the plants from at least 12" around the base to expose the trunk/ root flare. If soil and/or mulch are covering the flare, they should be removed. See Root Flares. Here's some useful information on Planting Trees and Treating Sick Trees.